The 2019 Honda Ridgeline carries second-generation status on the North American marketplace for pickup trucks. Classified as a light-duty vehicle, it comes in six editions that have premium standard features. The RT base trim, the Sport, RTL or RTL-T, the RTL-E and the Black Edition have class-leading amenities. Obsidian Blue Pearl and Deep Scarlet Pearl are arguably the most appealing colors that are available for the Ridgeline’s exterior. Crystal Black Pearl and Modern Steel Metallic are suitable for urban cruising and off-road driving. You’ll also have access to several distinct exterior features that improve utility for daily tasks. Engineered to support a maximum load of 300 pounds, the Dual-Action Tailgate requires minimal effort for opening and closing. Having a storage volume of 7.3 cubic feet, the In-Bed Trunk is another signature installation that’s standard. Eight tie-down cleats with a heavy-duty design are installed on the bed, which could be illuminated by LED lights. Paired with the Walk-Away Auto-Lock function, the updated Smart Entry System guarantees a secure entry and exit. The low beams on this pickup truck have LED lights with the Auto On/Off feature. Having a rating of 150/400 watts, a power outlet is conveniently installed in the bed. Under the hood, the 2019 Honda Ridgeline is powered by a 3.5L V6 engine with a 3471 cc displacement. The legendary i-VTEC platform dominates the mechanics of this naturally aspirated, a six-cylinder powertrain that produces up to 280 hp and 262 lb-ft of torque. This light-duty pickup truck has some impressive features that optimize fuel efficiency, such as the Eco Assist. By shutting off some of the cylinders in the SOHC engine, the Variable Cylinder Management increases the vehicle’s driving range. Most of the 2019 Ridgeline trims have a 4WD system with the Intelligent Variable Torque Management technology. Additionally, the Intelligent Traction Management has custom modes that are tuned to improve handling on mud, sand, and snow. Featuring two fans, a high-capacity radiator keeps the powertrain operating correctly in extreme conditions. The Remote Engine Start is another premium feature that’s available for this well-appointed pickup truck. You’ll also find plenty of high-end amenities inside the Ridgeline’s cabin. Heated front seats with leather upholstery provide desirable comfort during the winter. Featuring humidity control and air filtration, a tri-zone climate control system improves the air quality in the front and second rows. A navigation system with the Honda HD Digital Traffic service is installed in the RTL-T and above trims. You’ll see plenty of other applications on the 8.0-inch touch screen, such as Apple CarPlay and Pandora. Do you love Google apps? Then import them into the Android Auto portal. Bluetooth also supports the HandsFreeLink and audio streaming functions inside the cockpit. Rated at 540 acoustic watts, eight speakers are installed in the RTL-E, and Black Edition trims, which also have the truck-bed audio system. 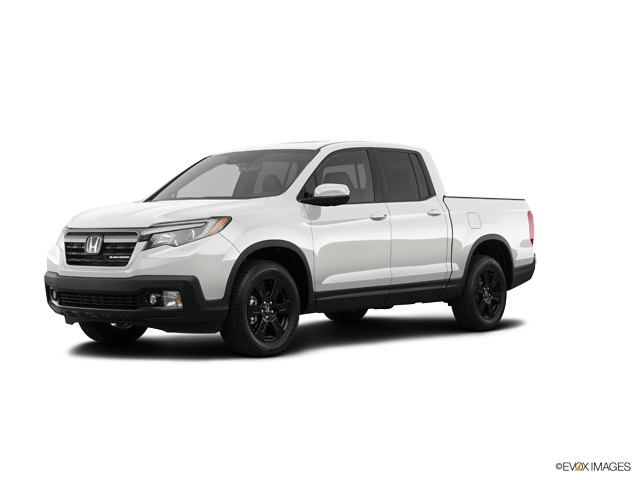 We’re thrilled to announce the arrival of the 2019 Honda Ridgeline at our auto dealership. Visit us today to check out the capabilities and premium amenities of this light-duty pickup truck. We offer the Sport, RTL, Black Edition and other trims for test drives. ** Based on 2019 EPA mileage ratings; Use for comparison purposes only; Your mileage will vary depending on how you drive and maintain your vehicle, driving conditions, and other factors.